Could ‘Faculty Publication Funds’ Drive Gold OA? Stephen Pinfield is senior lecturer at the University of Sheffield’s Information School. He has a particular research interest in scholarly communication and practice, specifically openness. He has been involved in research and development on open access since 2001, when he founded the SHERPA project at the University of Nottingham. He has also been active in a number of national and international policy initiatives on open access and open data since that time. Enabling authors to pay open-access (OA) article-processing charges (APCs) is one of the key challenges faced by institutions supporting so-called ‘Gold’ OA (that is, OA publication in journals). One response to this challenge is to set up an institutional central fund (or ‘faculty publication fund’) for payment of APCs. The University of Nottingham in the UK was one of the first institutions globally to set up such a fund, in 2006. 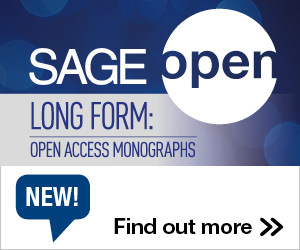 In our recent study published in SAGE Open, my co-author, Chris Middleton, and I have analyzed the usage of the fund from 2006 to 2014 to try to understand how it has been used and what it use might tell us about the acceptance of OA in academic institutions. In particular, we wanted to understand what factors affect patterns of adoption of OA publishing enabled by such a fund in order to contribute to ongoing discussions on OA policy development and implementation. This article by Stephen Pinfield originally appeared on the LSE Impact of Social Sciences blog as “Enabling authors to pay for open access – The Gold Open Access market and the role of an institutional central fund.” and is reposted under the Creative Commons license (CC BY 3.0). Our analysis shows that use of the Nottingham Central Fund grew from about 1 percent of the institution’s published outputs, in 2006-7, to about 12 percent in 2013-14. Researchers based in the Faculty of Medicine and Health Sciences and the Life Sciences disciplines within the Faculty of Science made greatest use of the fund and also constituted most repeat users over time. There was a marked increase in adoption of the fund from 2012-13 onwards, a noticeable feature of the data requiring explanation. Our research provides a detailed case study of the paid-for Gold OA market as experienced by one university over a comparatively lengthy period. 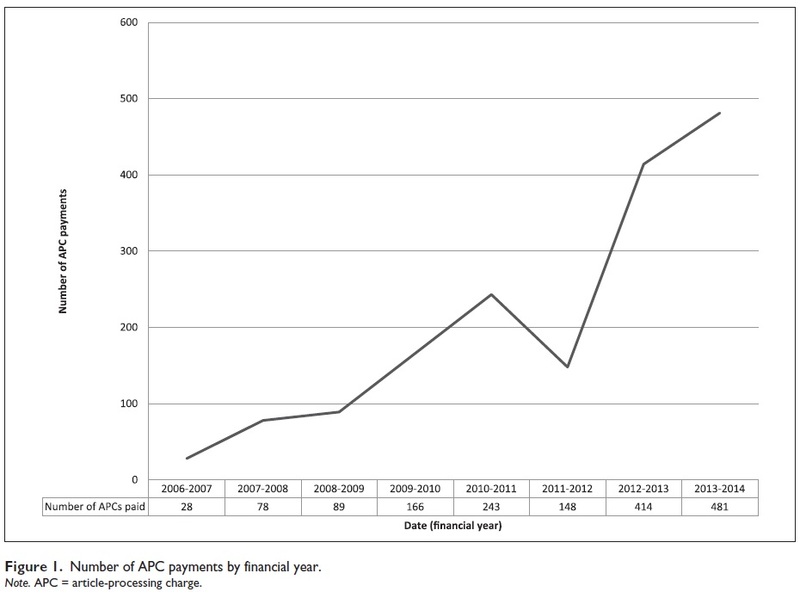 Average APC prices paid rose during the period covered by the study, from a mean of £1235 ($1,853) in 2007-8 to £1506 ($2,259) in 2013-14. Prices paid varied considerably, with the lowest payment being £73 ($110) to the highest £4,080 ($6,120). Whilst payments were made to a total of 125 publishers, only 23 received 10 or more payments; these 23, in fact, received 85percent of the total payments. There was a marked difference between prices charged by fully-OA publishers compared with ‘traditional’ publishers (who also publish subscriptions and ‘hybrid’ subscription/OA journals), with fully-OA publishers charging considerably lower APCs. We considered these patterns of adoption using Innovation Diffusion Theory (IDT), which proved to be an interesting lens through which to view developments and bring them into focus. The case study approach using IDT allowed us to drill down into the detail in a way not often possible in studies like this. IDT was designed to provide a set of explanations for the ways in which an innovation (any new idea, practice or technology) diffuses through organisations or communities. “Diffusion” is defined by one of the main founders of IDT, Everett Rogers, as “the process by which an innovation is communicated through certain channels over time among members of a social system” (Rogers 2003). Each of the key words in the definition, as originally emphasized by Rogers, characterizes the main areas of focus in IDT and formed the basis of our analysis. Whilst the Nottingham Central Fund might ostensibly have been seen as having the characteristics of an innovation which might be widely adopted (e.g. it appears to be compatible with the fundamental objectives of its potential users, that is, researchers), there were clearly barriers to adoption as well. Many of these are likely to have been to do with imperfect information – a wide range of views and (mis)understandings about OA in general and the Central Fund in particular, including people who did not know about it at all. In our case study, we can surmise local “early adopters” (to use IDT terminology) were important in the role they played in encouraging their own immediate colleagues. These early adopters were in many cases concentrated in particular areas of the institution, often defined by their discipline. 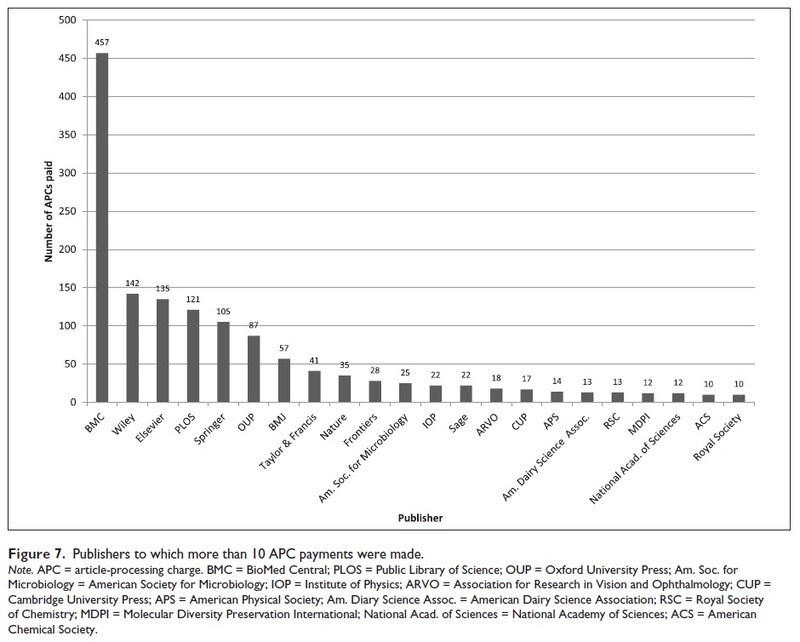 Disciplinary differences in general were clearly important in influencing different adoption patterns of the Fund, with initial and repeat uses of the Fund occurring disproportionately amongst Health and Life Scientists, with these researchers likely to be influenced by both local and wider disciplinary community norms. These factors appear to have been important in shaping adoption decisions amongst individual researchers particularly in the period between 2006 and 2011 in the life of the fund. But, what has changed more recently to explain the rapid acceleration of usage? The key point here appears to be that for a growing amount of the published outputs OA is no longer voluntary but “mandated” (IDT terminology again). An increasing number of research funders in particular have recently issued or strengthened policies encouraging or requiring OA, and in the UK this has taken the form of an emphasis on Gold OA in particular. As part of this, provision has been made by funders of block grants to institutions to pay APCs. These grants are administered by most institutions, including Nottingham, as part of a central fund. The co-occurrence of these factors – key funders in the UK introducing OA mandates and funding streams with the rapid rise of the Central Fund at Nottingham from 2012 – is not a surprise. It seems that mandates, particularly if accompanied by funding, have played a very important role in encouraging uptake of Gold OA in general and the Central Fund in particular. Within IDT such mandated adoption will often drive behavioural change more rapidly than total voluntary uptake. That appears to be what is happening in practice. These key factors in adoption patterns – of increasing awareness and changing perceptions of OA, communication activity, disciplinary differences, and adoption mandates – have important policy implications. Along with a snapshot of the paid-for Gold OA market our study provides, we hope it may inform further evidence-based policy developments for institutions, funders and other stakeholders. This entry was posted in Open Access and tagged Central Fund, Gold OA, Innovative Diffusion Theory, LSE Impact. Bookmark the permalink. Post a comment or leave a trackback: Trackback URL.